Recycled Arts & Fashions have been selected! 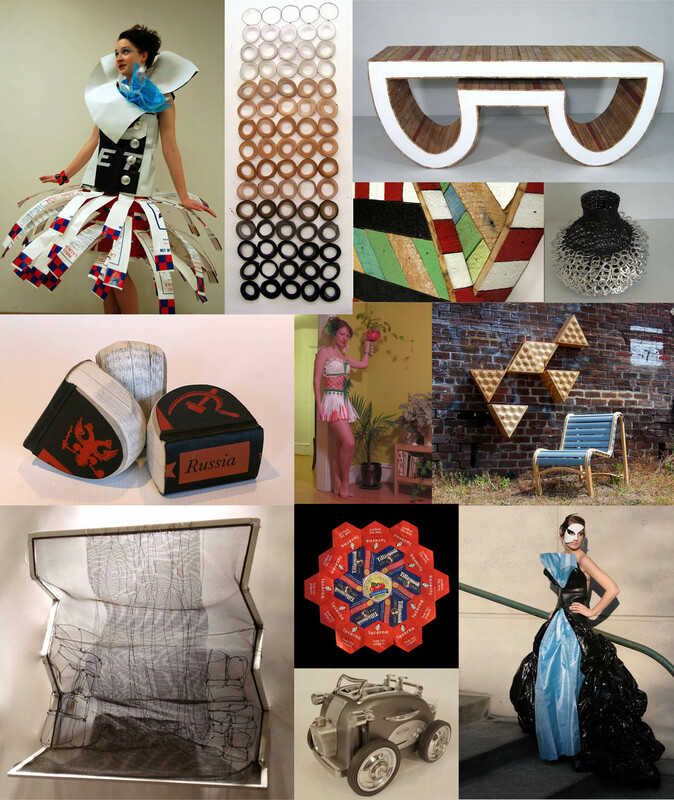 Over the last week or so, juries in both Seattle and Bellingham have been feverishly deliberating over all the amazing submissions we’ve received for Recycled Arts, Functional Art & Trash Fashions shows. Many great pieces, and lots of talented folks – makes us wish we had unlimited space to accept everything into the shows! But, alas, our job was a difficult one, and the competition fierce. Thanks so much to all that entered, and all that juried! We’ve made our final decisions – and it looks like we will have some great shows – so mark your calendars! Saturday April 9th, 6p at Blowing Sands Gallery – Recycled Arts & Funtional Arts gallery opening. Show through May 8th. Saturday April 16th, 7p & 9:30p at New York Fashion Academy – Trash Fashion Shows. Ticket on sale through Brown Paper Tickets, and at the store (coming soon!). Saturday April 1st, 6p at Allied Arts Gallery – Recycled Arts gallery Opening. Show through April 30th. The RE Store – Bellingham will feature a Functional Design gallery for the month of April as well. Saturday April 23rd, 7p & 9:30p at WWU’s Viking Union Multi-Purpose room – Trash Fashions Shows. Tickets on sale through WWU’s box office.